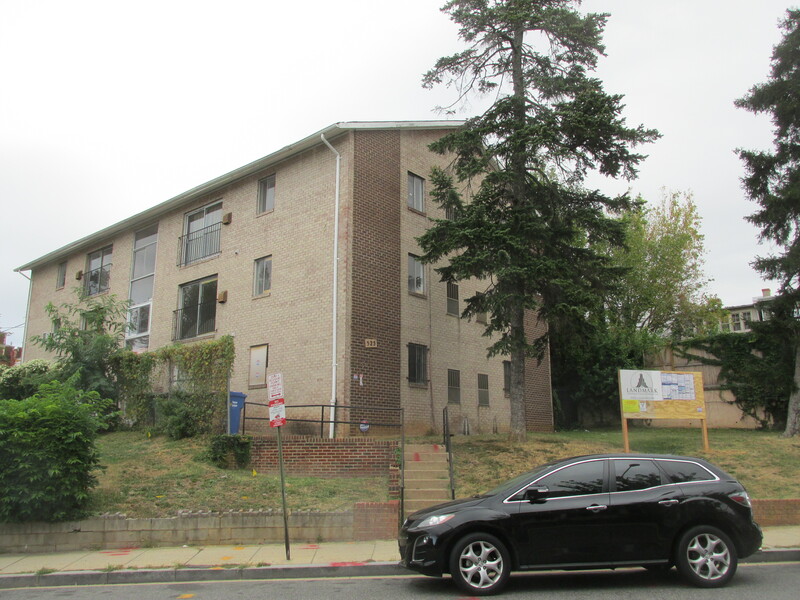 Park Road Apartment Headed for Redevelopment | Park View, D.C.
… an existing 12 unit apartment building in the very popular Park View neighborhood. Plans are underway for expansion and renovation of the building, which will create 12 two bedroom condominiums over 1000 ft2 each. The building is expected to be delivered in late spring 2016. It will be interesting to see more details on this one as they become available. This entry was posted on September 21, 2015 at 7:01 am and is filed under Development, Housing. You can subscribe via RSS 2.0 feed to this post's comments. Hoping for a dramatic improvement here. Onward and upward! That’s such a big plot of land that a relatively small building sits on. It would be nice to see them use more of the property somehow. That’s a pretty quick turnaround. I imagine most if the changes will be internally and landscaping. I don’t see how they can alter the structure in such short a time. Also a couple doors down, 549 Park Rd recently sold. it’s a standard row house, but the company that bought it wants to convert it into 3 story (ie pop-up), with 3 apartment. Does anyone have experience with this? Will the zoning board actually consider denying the exemption? or is this just a formality? I’m not thrilled with the idea of a pop-up apartment complex, but I don’t want it to sit abandoned forever. Sounds like a great project. Thanks for calling my attention to it. I’ll be sure to write a letter to the zoning board in support of it. >><<my friend’s sister-in-law makes $78 hourly on the computer . She has been fired from work for nine months but last month her paycheck was $15084 just working on the computer for a few hours.